You have decided to have your wedding on the beach. This is a great choice because a beach is a beautiful and romantic setting for a wedding. 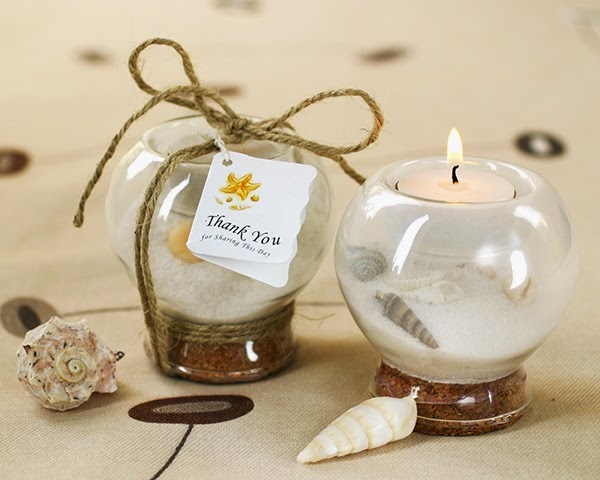 When deciding on what type of wedding favors to give to your guests, consider beach themed favors. 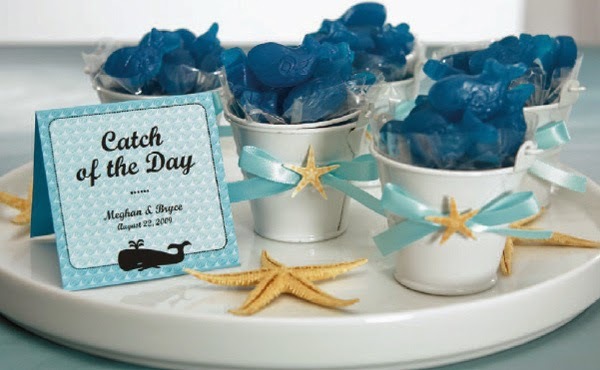 These types of favors will both coordinate with your theme of a beach wedding, and they will be a special reminder for your guests of the wonderful location at which you had your wedding. 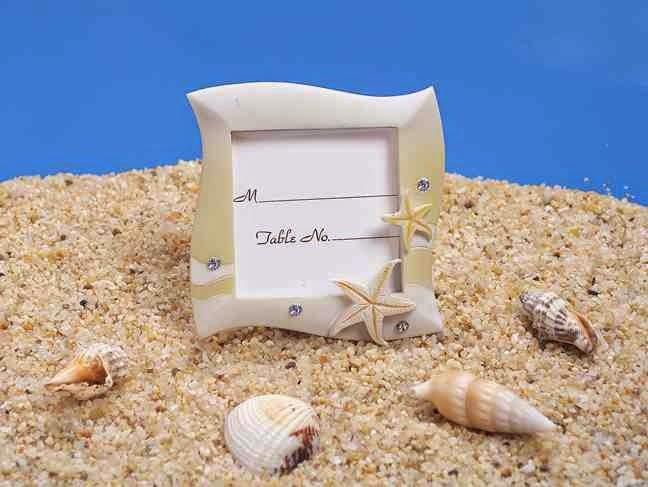 There are a variety of beach themed wedding favors from which you can choose. One great option is to give out beach themed picture frames. Many of these types of frames are covered in decorations that look like seashells and sand. This type of favor is very useful. Family members who wish to display pictures of your wedding in their homes could actually use the frame for one of your pictures. Other guests could use the frame to display a picture from their own special occasion such as a beach vacation they went on. Another idea is to give your guests scented soap. 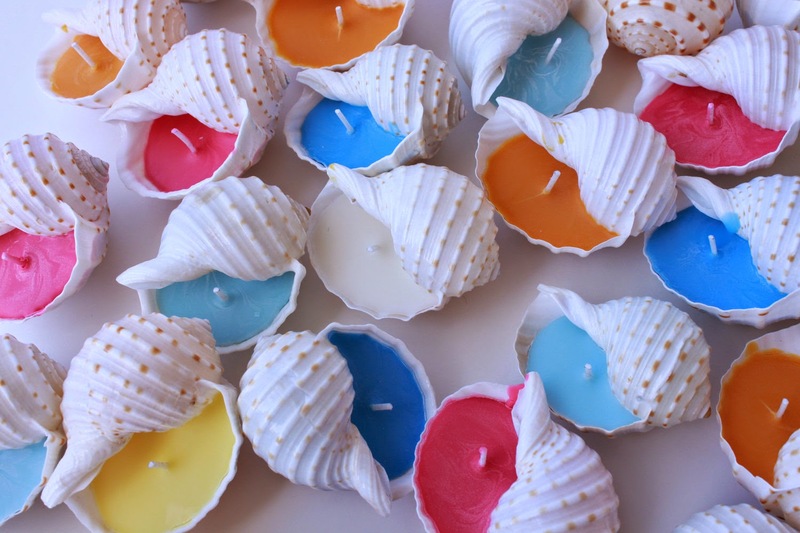 Look for soaps in the shape of seashells to coordinate with your beach theme. Once they take them home, these fancy soaps will look lovely in their bathrooms. Candles are another choice of favors you could have. Candles that come in holders that are the shape of sailboats or starfish would work wonderfully. You could also have favors that can be used during your wedding. If you give out folding fans, your guests could use them if they get warm sitting outside. Personalized frisbees make for a fun gift at more casual weddings where your guests could play with them on the beach. Other items that you could give to your guests include key rings and bookmarks that have decorations that look like either seashells, sailboats, or maybe even palm trees. For those guests who drink, you could choose wine stopper wedding favors. You can find beach themed ones that are designed with a dolphin, seashell, or boat figurine on them. Personalized playing cards with your names and wedding date are another choice. You could have a seashell drawing decorating the cards. Guests who have traveled from out of town may enjoy playing games with them when they are back in their hotel rooms. There are many beach themed wedding favors from which you can choose. Deciding what type to give out is simply a matter of finding ones that both appeal to you, and finding ones that your wedding guests will enjoy.